On that first day, we did a land tour for nearly 240 km. In my opinion, Belitong’s view in general was not that picturesque. It tended to be quite boring to look at. However, because it was my first time there, I enjoyed looking at houses on each sides of the road. The houses were located far away from each other and they were different from one another. I like the ‘staged house’ with horizontal wood slat walls; I think they were cool and vintage-ish looking. When I asked Bang Dodi who managed the Rainbow Troops Gallery about the wooden stage houses, he said that the original stage houses were built with vertical slat walls. But now they build the house using the horizontal slat ones. I think it might have been more difficult now to find trees that are tall enough to be made into vertical wood slats, so they just make horizontal wood slats. And among the houses seen in Belitong, I really dislike houses with full ceramics walls. Such a fashion slash design crime! Hehehe. Vertical and Horizontal Slat Walls Combo House! 😀 Smart! The funny thing was, even during the day the houses were so quiet as if they were vacant. There were also houses with dirty and broken windowpanes, with the drapes flowing out of the windows. For a while I thought that the owners might have abandoned the houses for a long time; but turned out the owners were still there and mostly were old people. Knowing that, I felt a bit worried for them. What if something happened to them? The houses were so far away from each other. 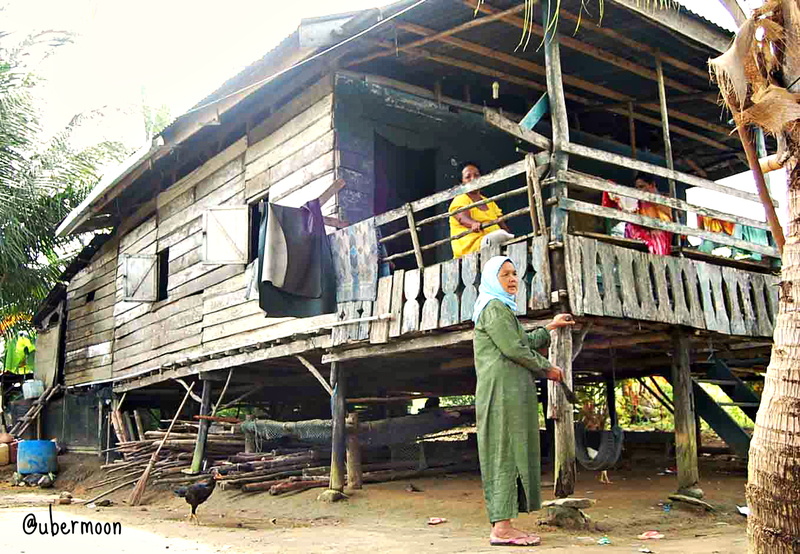 There was another unusual thing on the houses of the Belitong people. Several houses were decorated with cartons near the front door. Some people put the carton on the sides of the door, on the door itself, or above the front windows. The majority of the cartons that I saw had writings on them ‘Welcome’ or ‘Please come in’ or a combination of both ‘Welcome. Please come in’. 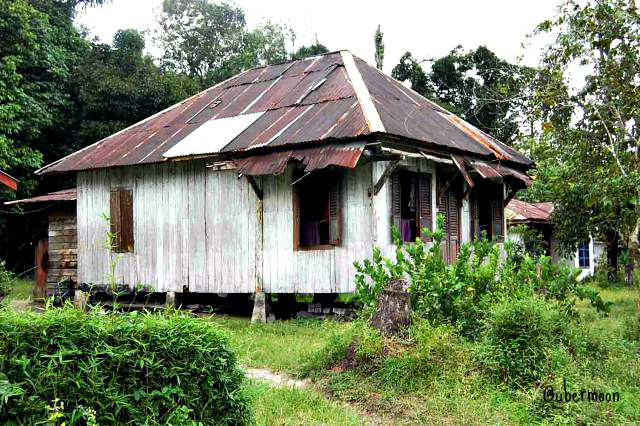 The old Belitong houses were stage houses, and they were movable. A woman that I spoke with told me that her house was previously located somewhere else. 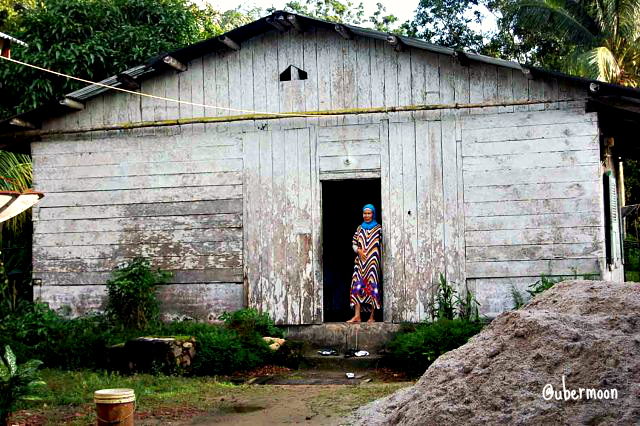 Then when she decided to move, about a hundred people gathered, lifted the house, and carried it to where it was now. How cool is that, ah?! Later on when the owner wanted to make the house permanent, they would cement the foundation and lower the stage house so that it stood on firm grounds. Aha! Smart! Traveling around Belitong was like going on a trip to the past. Everything felt vintage and classical. I felt like I was transported back to the era when teenagers wore bell-bottom pants, rode their Vespa with their sunglasses covering a big part of their face. Cool! Fortunately we didn’t bring iPods with an old-school playlists; otherwise, it would have felt even more like a blast to the past! Hihihi. Translated by: Silka from Vintagenya Belitong..
Click here for more English Post. Semua beratap seng, soalnya nggak ada tanah liat sih, jadi nggak ada genteng. Wah.. Aku gak kepikir kenapa semua pake seng sampe segitunya. Emang beda kalo arsitek mah ya. Hihihi.